4 new albums from ASX! 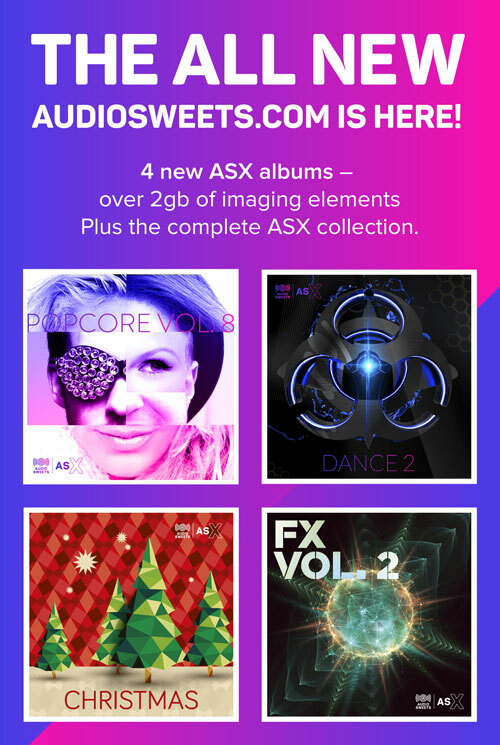 To celebrate the launch of the new AudioSweets.com we've added 4 new ASX albums, that's over 2gb of imaging elements! Check out the latest PopCore, FX and Dance albums plus a our first Christmas album.